We “Sipani Fibres Limited” are acknowledged organization, are engaged as manufacturer of Carry Bag, Plastic Sack, Plastic Bag, HDPE Laminated Fabric and many more. It was established in the year 1989 at Bengaluru, Karnataka. We are quality based firm always concerned in providing best dominance tested products to our clientele. Our quality analysts thoroughly examined the whole assortment on several quality parameters to ensure that there is no defect. Sipani Fibres Ltd. is a leading, India-based manufacturer of PP & HDPE woven sacks. The company has two manufacturing units, which are located at Mahadevapura and Narasapura. The company endeavors to serve the industry with the finest quality and latest products available in the market at the most competitive prices. It is the quality of the products and the attitude of the company towards its customers that has helped it in scaling great heights. Well-­trained and experienced staff ensures that all the products are manufactured efficiently under suitable conditions. 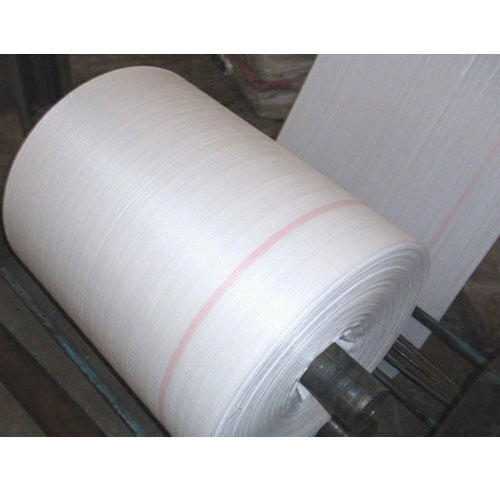 The company’s reputable clientele across India, along with goodwill earned over the years has allowed it to become an honorable member of AIFTMA (All India Flat Tape Manufacturers Association). The Chairman, Shri Rajkumar Sipani is currently the Vice President of AIFTMA, Karnataka. Sipani Fibres Ltd. has completed in ­house manufacturing & testing facilities that enable it to produce high-quality products. To ensure uninterrupted supply of power, the Company has a dedicated power line from BESCOM substation and also stands by generators. This unit was set up in 1980 and currently has an installed capacity to produce 2 lakh HDPE bags per day for fertilizer and chemical packing. It has 4 extruders with more than 100 looms and 2 lamination plants along with printing & stitching Sections. The products are purely for packing of Urea and all other types of fertilizers. This unit was setup during 2008-09 at Narasapura, situated near Kolar, on NH-4 and is a testimony of the vision of the company’s Chairman, Shri Rajkumar Sipani. The unit was set up to manufacture PP bags and fabrics. This was necessitated to cater to customers who switched over from HDPE to PP. It boasts of world-class, state-of-the-art machinery from Lohia. It has 4 extruders with close to 250 looms. The printing and stitching sections are equipped with 8 BCS machines which automatically cut and stitch the bags, with a production capacity of 6.5 lakh meters/day. Keeping in line with Prime Minister Narendra Modi’s green initiative of tapping Solar Energy, the company has installed a 1 MW roof top solar system – the first of its kind in Karnataka. The company believes in the Prime Minister’s Make in India slogan Zero Defect Zero Effect! The company has made all efforts to be a leading symbol of quality in its field. As the company has a tie up with GAIL, RIL and MRPL for procuring raw material, it ensures that the customers get their material on time under any circumstances. The company is ably supported by M/s. Lohia Corp Ltd, Kanpur for all its latest machinery and is always prepared for upgrading its machinery and production capabilities to cater to the needs of its customers.